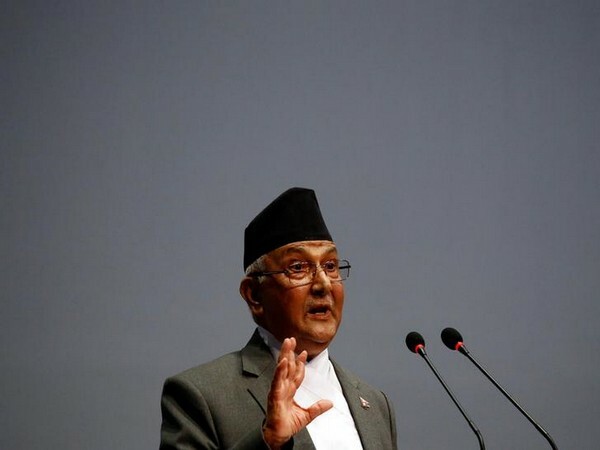 Kathmandu [Nepal], Sept 22 (RSS/ANI): Nepal Prime Minister and Communist Party of Nepal (CPN) chairman KP Sharma Oli has said that the present government will not let the trust and confidence of the people towards it waver. New Delhi [India], Sep 8 (ANI): Former Prime Minister of Nepal Pushpa Kamal Dahal 'Prachanda' called on Prime Minister Narendra Modi here on Saturday. The two leaders discussed the progress in India-Nepal relations among other issues of mutual interest. Kathmandu [Nepal], Aug 11 (ANI): Nepal's former prime minister Pushpa Kamal Dahal aka Prachanda will embark on a six-day visit to India from September 7 to 12. Kathmandu [Nepal], Feb 7 (ANI): Nepal on Wednesday voted in huge numbers to elect new representatives to the Upper House, as people from various districts came and exercised their franchise. Kathmandu [Nepal], Feb 2 (ANI): External Affairs Minister (EAM) Sushma Swaraj emplaned for Delhi after successfully completing a two-day visit to Nepal. Kathmandu [Nepal] Feb 2 (ANI): External Affairs Minister (EAM) Sushma Swaraj met former Nepal Prime Minister Pushpa Kamal Dahal here on Friday . New Delhi [India], Jan 29 (ANI): External Affairs Minister (EAM) Sushma Swaraj will embark on a two-day official visit to Nepal from Thursday, in an effort to reach out to Nepal's political leadership ahead of the formation of a new government by a Communist alliance. Kathmandu [Nepal], Jan. 21 (ANI): Prime Minister Narendra Modi on Sunday telephoned Nepal's Prime Minister-elect K.P Sharma Oli, congratulating him in advance for his win in the just-concluded Nepal elections. Kathmandu [Nepal], Jan 6 (ANI): The formation of the new government in Nepal has been pushed back till March. Kathmandu [Nepal], November 19 (ANI): Nepali politicians on Sunday paid homage to former prime minister Pushpa Kamal Dahal's son Prakash Dahal in capital Kathmandu's Paris Danda, the CPN Maoist Centre headquarters.